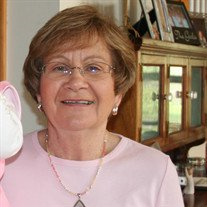 Elizabeth “Libby” Nabors Rowland, age 70, widow of Bill Rowland passed away Jan. 6, 2019 at NHC of Clinton. She was born in Joanna and was the daughter of the late William P. and Thelma Byars Nabors. Mrs. Rowland taught school for 29 years in District 56 Schools, Bailey Elementary, Martha Dendy, Bell Street Middle and also Thornwell Middle School. She was a 4-H Director at Thornwell and a member of the Joanna First Baptist Church. She is survived by her daughter, Dr. Kristin Derrick of Clinton; granddaughter, Careen “Addy” Adair Derrick of Clinton; and a sister, Tam Burnette of Joanna. Graveside services will be conducted Tuesday, Jan. 8, 2019 at 2 p.m. at Rosemont Cemetery by Rev. Norman Dover.